I'm like a shooting star. 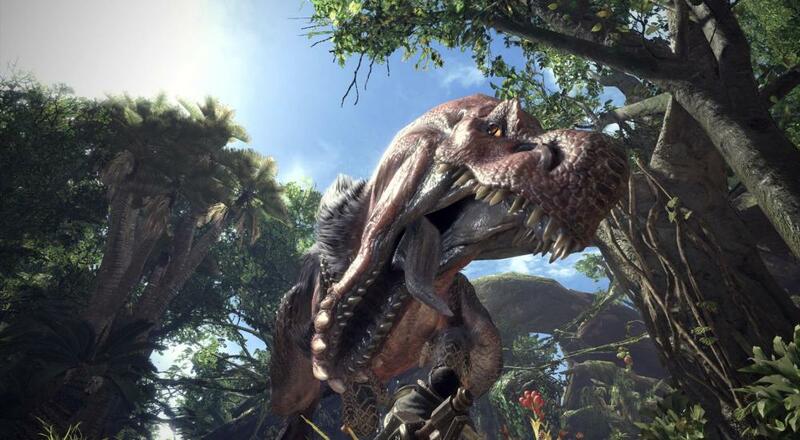 Some of the Co-Opticrew (everyone that isn't me) seem to be chugging along quite nicely in their Monster Hunter: World experience, while others (literally just me) can't seem to handle a certain fire-breathing dinosaur who is very much a trash creature with no redeeming qualities. Either way, most of our plans revolve around exploring and surviving the "New World". Naturally, not everyone is interested in the minutiae of hunting down creatures the size of a Macy's Day float, so we've got a few other things going on as well. We'll be hacking in Boston, defending an Aegis, and fighting some aliens. Check it out! Nick Puleo (@NickPuleo) - "Civ VI, maybe some Monster Hunter." Jason Love (@JLove55) - "The high rank grind is real in Monster Hunter: World, but I've gotta get those gems!" Mike Katsufrakis (@Pheriannath) - "I finally hit High Rank in Monster Hunter World, so I believe I will be experiencing a new kind of pain. I’m also checking out the Secret of Mana remake!" Eric Murphy (@smurph_em) - "We're finishing off Shadowrun Chronicles: Boston Lockdown tonight on our stream! Stop by and join us for the epic finale!" Marc Allie (@DjinniMan) - "Hoping to get some Heroes of the Storm in as well as maybe some board gaming." Locke Vincent (@LockeVincent) - "Monster Hunter and Aegis Defenders." Tally Callahan - "Playing lots of board games with some friends visiting from out of town." Enoch Starnes (@enochstarnes) - "I'll be finding more and more ways to endanger my Palico in Monster Hunter: World and trying to beat just one level in the Vermintide 2 beta." Matthew Squaire (@mattaghetti) - "A bit more preparation and I should be ready to stop the Reapers in Mass Effect 3. I also want to play Inside, but that shouldn't take me more than a single day." As always, we want to hear from you, the reader! Tell us all about your weekend plans in the comments.